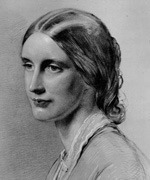 Listen again to the story of Josephine Butler, the beautiful British lady who fought for poor women’s rights in Britain in the 19th century. She launched the feminist movement. Talk time is 5 minutes. Broadcast on Songs of Hope on Southern fm 88.3 on Sunday 7May17. A wonderful and compassionate person.